Kerry Abrams, Family Reunification and the Security State (forthcoming, 2017), available at SSRN. Many Americans believe that one of the functions of United States immigration law is to facilitate family reunification. For example, the idea that if a non-citizen marries a United States citizen that person can reside in the United States with their U.S. citizen spouse. Yet another function of U.S. immigration law is border control to protect national security. Consequently, if the United States government deems a non-citizen a security threat, regardless of their relationship to a U.S. citizen, that non-citizen could be denied entry to the United States. The relationship between these two immigration law functions—family reunification and national security—has varied throughout American history. Kerry Abrams’ forthcoming article, Family Reunification and the Security State, provides a framework for understanding the “shifting and complex relationship” between these two immigration law functions. (P. 1.) Professor Abrams identifies three periods of U.S. history in which the relationship between these two immigration law functions has varied. During the age of the unitary family there was little tension between the two immigration law functions, and family unity was paramount. In the subsequent age of security, the State’s concern about national security threats increased and family reunification was subordinated to border control. We are currently in the age of balancing in which family rights are viewed as individual constitutional rights that must be balanced with the State’s interest in border control. The implications of these shifts are highly visible today as citizens challenge President Trump’s executive order limiting migration from Iraq, Syria, Iran, Sudan, Libya, Somalia, and Yemen based on their interest in family reunification. The age of the unitary family was one in which the family was understood to be a single legal identity—that of the husband and father. During this time period the State’s interest in border control was limited. The State was primarily interested in “expand[ing] its borders and settl[ing] new territory.” (P. 4.) Viewing the family as a unitary legal entity, and allowing the migration of all family members, assisted the State in achieving this goal. Professor Abrams notes that the even though transformations were taking place at the state level that undermined the idea of the unitary family, such as married women property acts, “the common law theory of marital unity was still so powerful that family unity was treated with extraordinary deference.” (P. 6.) Professor Abrams uses the story of Chung Toy Ho and Wong Choy Sin to illustrate the deference granted to the idea of the unitary family. Chung Toy Ho and Wong Choy Sin were the wife and child of Chinese merchant Wong Ham. During the era of Chinese exclusion laborers were excluded, but others like merchants could migrate to the United States. Yet federal law did not specify that merchants could bring their family members with them. Judge Deady of the United States District Court of Oregon heard their case and concluded that China and the United States could not have intended to prohibit merchants from bringing their wives and children with them when they could bring their servants. He noted that “[t]he company of the one, and the care and custody of the other, are his by natural right; and he ought not to be deprived of either, unless the intention of congress to do so is clear and unmistakable.” (P. 7.) Judge Deady concluded that Chung Toy Ho and Wong Choy Sin were admissible based on their familial relationship to Wong Ham. This presumption shifted during the age of security when the State’s interest in national security increased significantly. The age of security corresponds with post-World War I America—a time when there was significant suspicion of the foreign-born population. The plenary power doctrine was used to outweigh an individual’s interest in family unity in large part because “[a] spouse might not be just a spouse but a spy.” (P. 12.) In several cases the spouses of U.S. citizens were denied entry to the U.S. because they were deemed security risks. The history that Professor Abrams provides is particularly timely as courts are faced with several challenges to President Trump’s executive order addressing migration from Iraq, Syria, Iran, Sudan, Libya, Somalia, and Yemen. Family members residing in the United States have challenged the executive order as a violation of their right to family life as family members are denied entry to the U.S. based solely on their nationality. In an age of balancing courts may provide more review of the executive order to balance the President’s concerns about national security with United States citizens’ interest in family reunification. 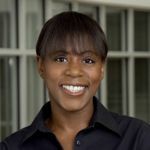 Cite as: Angela Banks, Protecting the Right to Family Life in Immigration Law, JOTWELL (October 16, 2017) (reviewing Kerry Abrams, Family Reunification and the Security State (forthcoming, 2017), available at SSRN), https://lex.jotwell.com/protecting-the-right-to-family-life-in-immigration-law/.